An advance apology: we could not turn down a chance to use an image from the Sopranos in a note about the new Italian Trading Tax. Please forgive us! Stage 2 of the Italian Trading Tax (ITT) began yesterday (Stage 1 was actually introduced in March 2013), with the result predictably being a decline in trading volume. To be fair, the volume decline also likely had to with holidays, macroeconomic events, and uncertainty around Italian economic policy as well. – 0.1% tax levied if the trade is on an Exchange or EU-registered MTF (0.12% in 2013 initially). – 0.2% tax levied in other cases – read OTC trades – unregistered dark pools (0.22% in 2013 initially). – Derivatives contracts traded OTC will be subject to a fixed amount between EUR 0.01875 and EUR 200 – depending on the type of contract and its notional value. If executed on a regulated market or MTF, the tax will be reduced to 20% of the original notional amount. – HFT transactions are subject to a 0.02 per cent tax on order changes and cancellations when they occur within 0.5 seconds, once above a certain threshold. – Italian and European Central Banks. We commented earlier this year that we are unconvinced that taxing transactions is the best way to curtail damaging and systemically risky speculation. 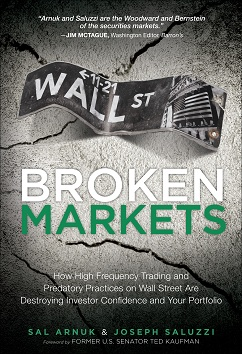 – Volumes have dropped, although partially recovered. – More trading migrated to the lit markets from the dark markets. – Depth of book increased. – Average trade size increased. Given that transaction taxes are globally being introduced (France, Italy, and the EU), and that there is no shortage of industry players claiming that this will be horrible for investors, traders, and capital formation in general, we want you to know that there is real-world data now that shows that reigning in HFT abroad is not harming their markets, but actually improving them. Is there much bite in these FTTs given that 85% of HFT activities are exempt? Probably not too much. Rest assured that Big Banks and registered Market Makers are not largely affected by these taxes.